The following is a guest post from my friend Cristi. A few weeks ago, Jennifer shared a fancy braid challenge on Facebook and issued a challenge to recreate the picture with step-by-step pictures. I know how to french braid, and I like experimenting with new styles. Moreover, I love a challenge. Thankfully my oldest daughter served as my willing assistant while I experimented. I prefer to start with dry, not-too-clean hair when I'm doing braids. Wet hair tends to leave clumpy looking braids when it dries (if it ever dries all the way through), and freshly shampooed hair is too slippery to stay in place. I started by brushing out Addison's hair. I parted it down the middle and then sectioned off about a third of the hair on one side. The remaining hair was pulled into a hairband to keep it out of the way. 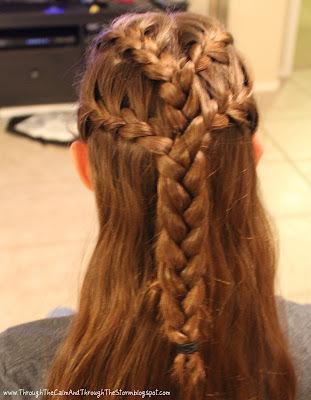 I started at her forehead and did a simple french braid back towards the middle of her head, using the hair that I had sectioned off. After picking up all of the first section of hair into the french braid, I continued the braid for a few inches and then fastened it with a hairband. I let down the remaining hair and divided off a matching section of hair on her left side. Again I did a french braid from the front to the back using the next section. Instead of finishing off this braid, I held it in one hand while I undid the bottom of the first braid. While carefully holding the two braids together, I combined the six strands (one from each braid combined to make each new strand) into three pairs so that I could braid them together. Fasten the braid at the bottom. I folded up the bottom when I wrapped the hair band around it so that there were less stray ends hanging out. I flipped the braid back up over the top of Addison's hair to keep it out of the way. I repeated the french braids on each side, using approximately half of the remaining hair. Before joining the two braids together, I flipped the first braid back down into place. Once again, tuck the completed braids up over the top of the head so that they're out of the way. This time I need a helping hand to keep them in place. Finish braiding the remaining hair the same way the first two braids were done, once again flipping the completed braids back into place before doing the final combined braid. 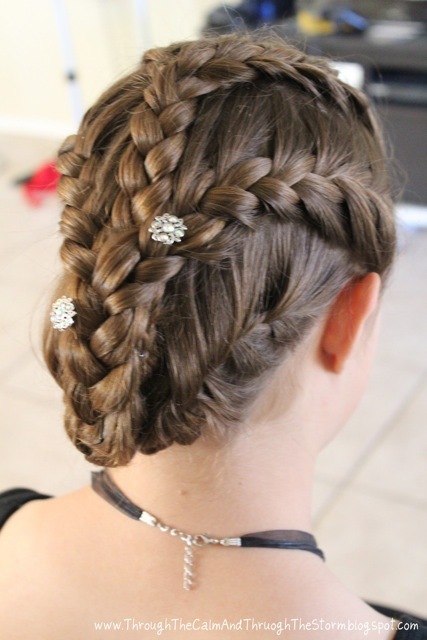 Tuck the final braid up underneath and fasten with bobby pins. If needed, the first two braids can be bobby pinned into place, too. Now I need to contact Jennifer (my favorite Lilla Rose consultant) so that I can order some fancy you-pins to decorate the braid. 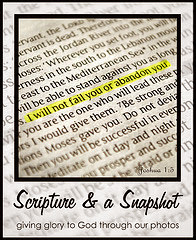 If Cristi had to describe herself in 25 words or less, she'd write: Follower of Christ. Military wife. Nurse (via on-the-job training). Homeschooling mom. Allergy-friendly cook. Aspiring photographer. Chauffeur. Blogger. Runner. Friend. And much, much more. Her blog, Through the Calm and Through the Storm, started as a way to record her youngest daughter's wait for a heart transplant and continues as a way to record all the crazy days she loves. 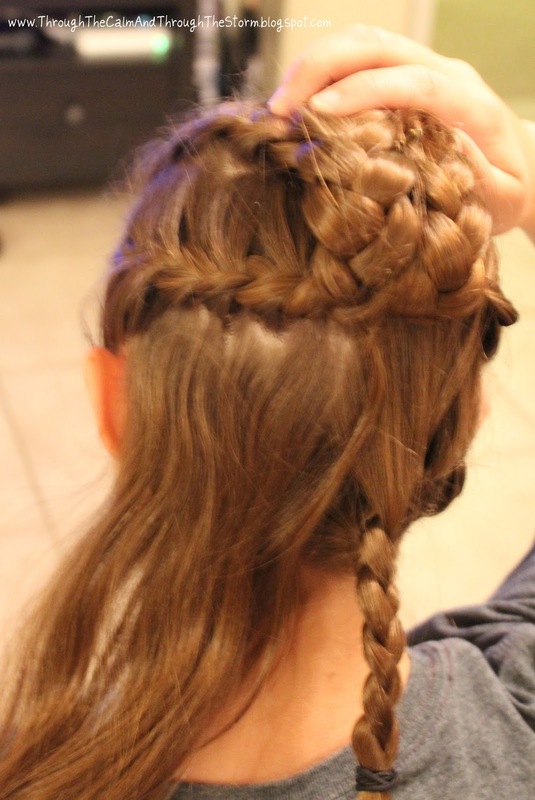 Thank you, Cristi and Addison, for sharing just how to create this beautiful braided style. Cristi did not have you-pins when she first created this style, and they were added later to be a pretty decoration. You-pins are able to actually securely hold hairstyles such as this one, a bun, or a twist. Oh wow! That is just awesome. My daughters would love it! I agree - she did make it look easy. I got lost with the second side, adding that in. But wow, it looks gorgeous. What an awesome hairdo! I wish my hair were long enough to do something like this with! Maybe I will try it on my daughter....she would adore this!